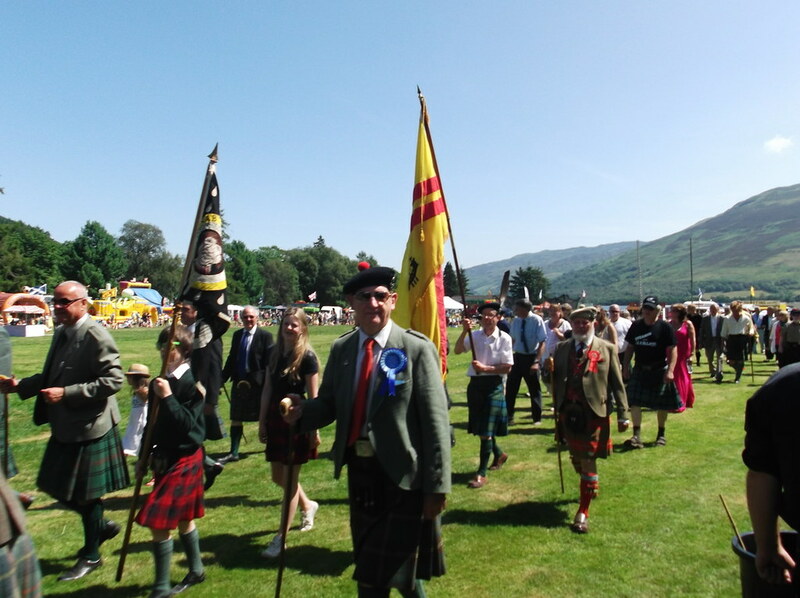 Read more to learn about the North of Callander area, visitor attractions in and around the place and places nearby which include Balquhidder, Lochearnhead, Killin, Crianlarich and Tyndrum. 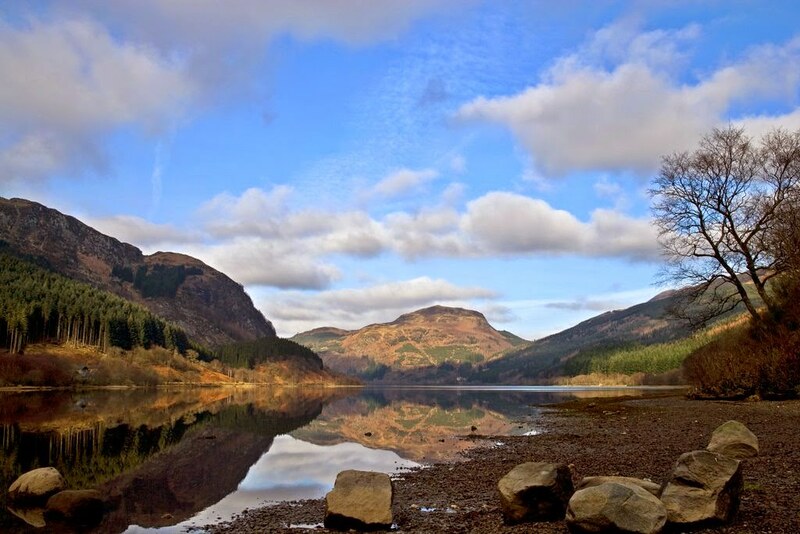 The A84 heads north from Callander along the east bank of Loch Lubnaig, and beyond towards Loch Earn. At the northern end of Loch Lubnaig, in Strathyre, is Creagan House, Tel. 384638, a family-run 17th-century farmhouse offering excellent food (mid-range to expensive) and comfortable accommodation, open Mar-Jan.
A few miles further north, a side road branches left to the tiny village of Balquhidder, famous as the burial place of Rob Roy. His grave in the churchyard, where his wife and two of his sons are also buried, is thankfully understated. The road continues west along the north shore of Loch Voil to Inverlochlarig, from where there are numerous excellent opportunities for experienced hill walkers. A few miles north of the turning to Balquhidder, where the A84 meets the A85 from Crieff to Crianlarich, is Lochearnhead, at the western tip of Loch Earn. 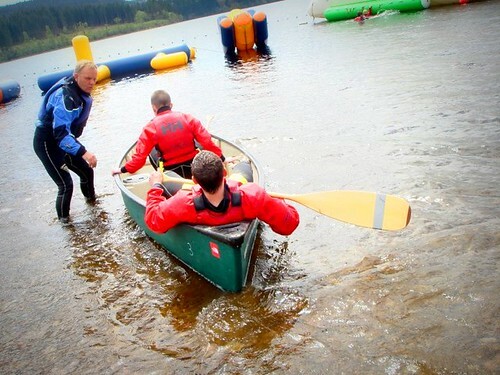 The loch is a highly popular watersports centre and at Lochearnhead Watersports, Tel. 830330, you can try water-skiing, canoeing and kayaking. 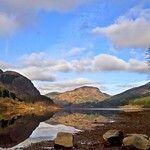 Lochearnhead is also a good base for walking in the surrounding hills. 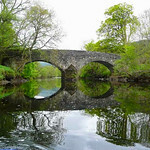 In the far northwestern corner of Stirling region, just to the west of Loch Tay, is Killin, a pleasant little village which makes a good base for walkers wishing to explore the wild mountains and glens of the ancient district of Breadalbane (pronounced Bread-albinn). 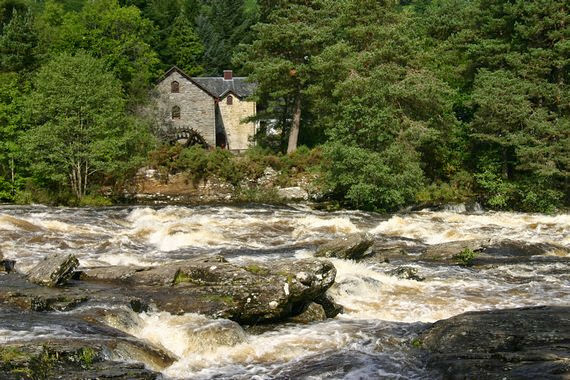 Killin's picture-postcard setting, with the beautiful Falls of Dochart tumbling through the centre of the village, makes it a popular destination for tourists. The Tourist Information Centre overlooks the falls. In the same building is the Breadalbane Folklore Centre, which has displays on local clan history and contains the sacred healing stones of the seventh-century missionary, St Fillan. Tourist office and Folklore Centre both open Mar-May and Oct daily 1000-1700; Jun and Sep till 1800; Jul and Aug 0930-1830. Tel. 01567 820254. The outdoor centre, Tel. 01567 820652, on the main road, hires out mountain bikes, as well as climbing equipment. 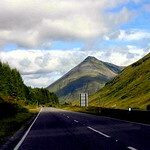 Twelve miles west of Killin is Crianlarich, at the crossroads of the A82 Glasgow-Fort William road and the A85 to Perth, and at the junction of the Glasgow to Fort William and Oban rail lines. It is a staging post on the West Highland Way. 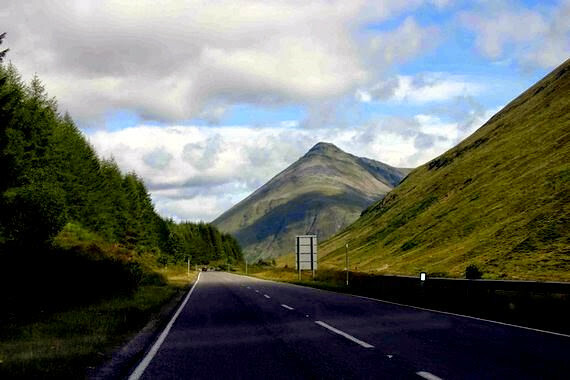 Six miles further north is tiny Tyndrum, which shot to prominence a few years ago after the discovery of gold in the surrounding hills. There's a seasonal Tourist Information Centre, Tel. 400246, on the Main Road, April-June and September-November daily 1000-1700; July, August 0930-1800. There are 2 train stations at Tyndrum. One serves the Glasgow to Oban line and the other the Glasgow to Fort William line. 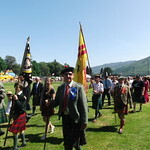 There are trains from both villages to Fort William, Oban and Glasgow (Tel. 03457-484950). Scottish Citylink buses, between Glasgow and Oban and Fort William stop in both villages. There's also a postbus service between Crianlarich and Tyndrum and Killin (Mon-Sat). There are buses to Killin from Stirling via Callander (1 hr 45 mins). There's a postbus from Callander once daily Mon-Fri (1 hr), which continues to Crianlarich and Tyndrum. There's also a postbus service from Aberfeldy. The best place by far to stay in these parts is the small, family-run Monachyle Mhor Hotel, Tel. 01877-384622, on the road to Inverlochlarig. It offers great views of the loch, peace and quiet and fabulous Scottish/French cuisine (lunch mid-range; dinner expensive). Clachan Cottage Hotel, Tel. 830300 or Mansewood Country House, Tel. 830213. 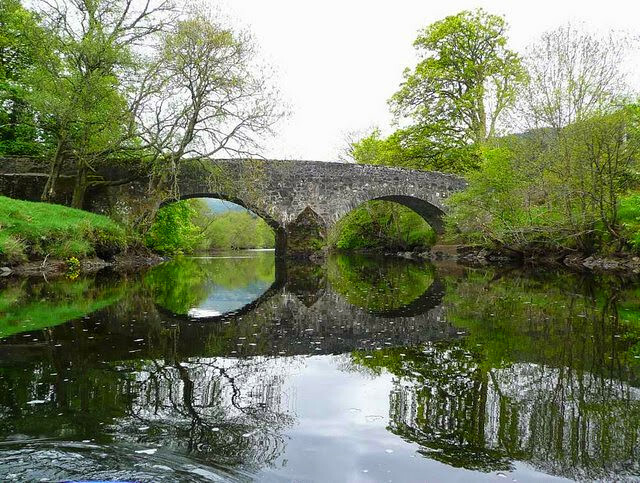 Most other options are self-catering cabins and caravans and include Earnknowe, Tel/Fax. 830238, cottages for rent, from £135 per week for up to six people. The best place to eat is the Four Seasons Hotel, Tel. 685333, at St Fillans, at the east end of the loch. Ardeonaig Hotel Lovely, romantic Highland hotel located on the southern shores of Loch Tay. Beautiful views and high quality service combined with delicious local foods and whisky. The best place to stay is the Dall Lodge Country House Hotel, Tel. 820217, , open Mar-Oct, which offers idiosyncratic style and very good food. 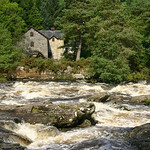 Next best choice is the Killin Hotel, Tel. 820296, Amongst the dozens of B&Bs is Invertay House, Tel. 820492, open Mar-Nov; and Mansewood Country House, Tel. 830213. There's also a Youth Hostel, Tel. 820546, open Mar to end-Oct, at the northern end of the village. The outdoor centre, Tel. 820652, on the main road, hires out mountain bikes, as well as climbing equipment.